Lastly grabbed some of the Quick Interior Detailer, haven't used it a lot yet but should do the trick for quick wipe downs. Have always used 303 Aerospace and still will, but for quick clean ups this will be nice. Nice!! I’m trying to decided whether I’m gonna get the CR spotless dic20 and Kranzle k1122tst complete system from obsessed garage. Figure if anything I’ll start with the dic20. Comments suggestions? Personally while I think high end equipment like Kranzle and and water filtration systems are great. 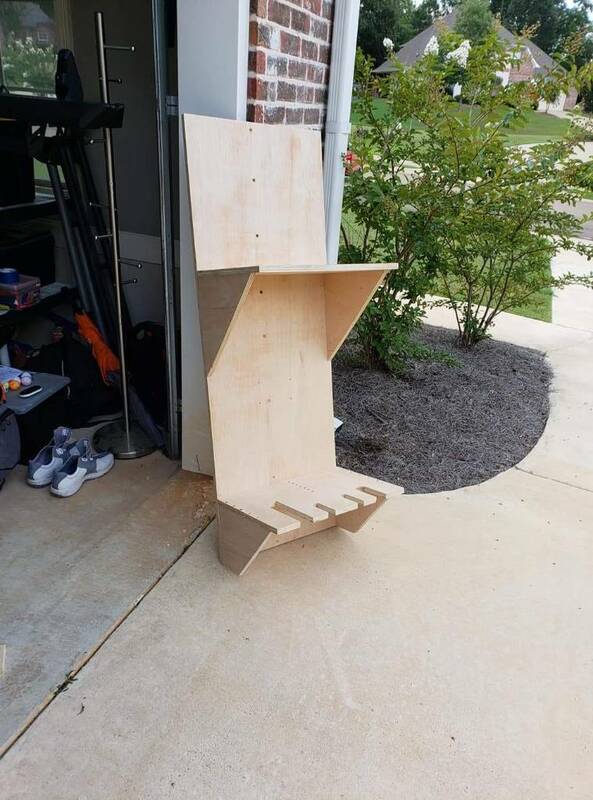 Spending $1500 on that IMO is just overkill for the average person. I honestly love watching detailing YouTuber's, but I def. think they are there to market you products as well. I think by simply getting your vehicles properly paint corrected, sealed or ceramic coated. Then keeping that paint correction/maintained you really don't need a high end system like that. I use a pedestrian Ryobi 1600psi 1.2gpm electric pressure washer with an Amazon short trigger sprayer/foam cannon and get great results. I think all in I paid $100ish for the whole setup. Sure I could probably benefit from a slightly higher gpm pressure washer (better foam), but it works great (and I have been detailing for 15+ years). I also have always used an electric leaf blower to aid in drying my cars. The combination of properly corrected/protected paint, with tools like I have net excellent results. Water sheets off very fast and allows me to dry very easily with virtually no water spots. In my experience with detailing, sometimes simpler is better. True. I bought a foam gun a while ago...and hardly used it....because it added another step that honestly didn’t really benefit me imo. But it also doesn’t provide the real foam look I want haha. I’m more intrigued with getting the water filtration. I never had an issue with water spots and always used a leaf blower as well. But I have to time my washes, park my car where the shade is, rush to get it done and dried before the sun hit the car or just wait for a cloudy day. My driveway gets a lot of sun. Basically adding the water filtration would give me more freedom of when I can wash my car....at least that’s what I’m telling myself to justify the cost lol. While water filtration helps with water spotting, it still won't completely solve your main issue that your driveway gets a lot of sun. If possible park your car in the garage or near a shaded area prior to you wanting to wash your car, helps lower the temperature of the paint. Therefore slowing the drying time of the water. Position the car where at least 50% of it is shaded in some way. If you don't even have that, buy a large pop-up party tent ($100 at most). You can usually fit most vehicles under those or even use it add shade by positioning it next to your car. Rinse/wash section by section starting from the largest shaded section/side instead of hosing down the whole car. When I say section I mean dividing the car in 4 parts (driver/passenger/front/back). Also no matter what I do my rims/tires/wheel wells first before I apply any water to the car's painted surfaces. 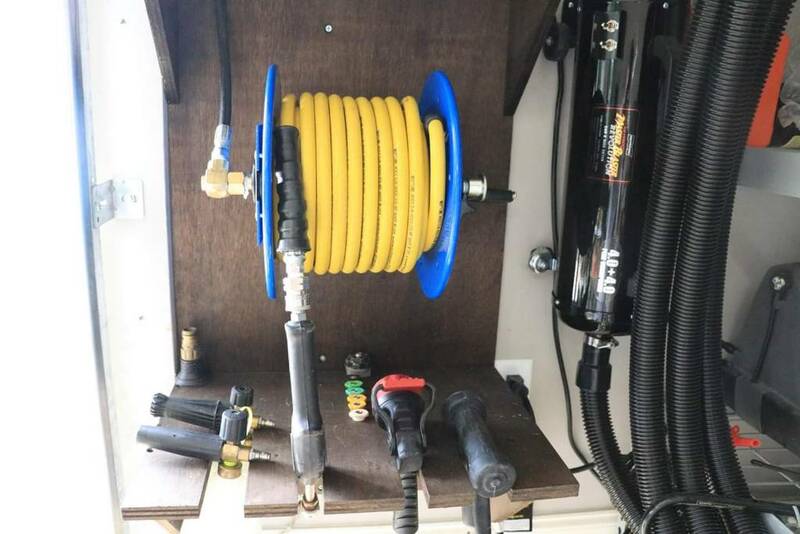 People forget to utilize the slow normal flow of the hose water after they are done washing and rinsing the car w/a trigger sprayer or pressure washer. If it is properly protected, start from the top of the car with just the slow water stream working your way to the hook/trunk/sides. It will remove/sheet the water off the car easily. 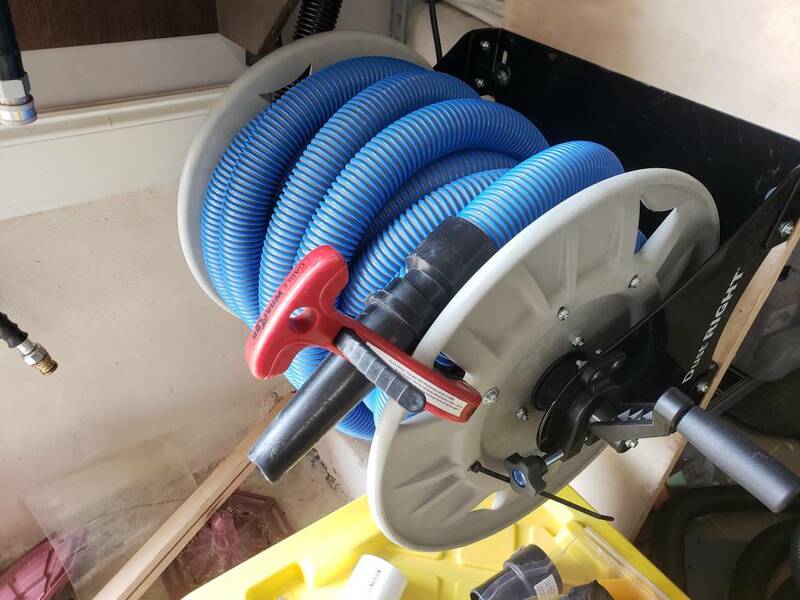 Then having your leaf blower already plugged in/hooked up and ready to go allows you to not waste even 5 mins, this is key when the water dries super fast. Lastly I use a quick detailer or some type of synthetic sealant spray to help aid drying the car b/c the panels get dry so quick. Starting from the side or sides that are in direct sunlight. I use all these techniques even when it's completely shaded and never had an issue with water spotting or paint etching ever. I have owned/own Black colored vehicles for most my life. I just think that too many people believe there is a magic product or device that will solve a huge problem, but it is the combination of a lot of stuff that doesn't require any money that can help. thanks for the tips! Are you saying the vids of washing black cars in direct sunlight with cr spotless is a gimmic? I’ve been into detailing for the past 15yrs also...full on paint prep and correction with DA and arsenal of pads etc...not just you’re wash/clay/wax that some will call full detailing . Had black for the past 10yrs that I’ve meticulously maintained and already use all those tricks lol. 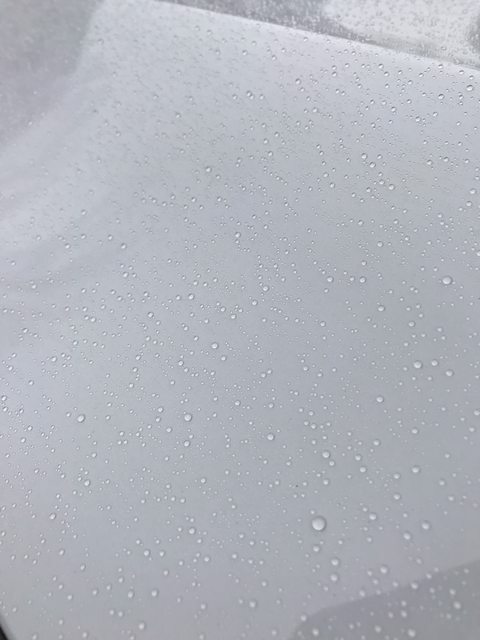 Keeping the car wet, then taking off the nozzle to sheet the water off the car instead of spraying and leaving water beads... is what I find to work the best to avoid water spots. Still hard to do if there’s full sun...and have to work quickly. I can find areas shaded by some trees depending on the time of day..but have to keep inching the car up to stay fully shaded. At least Now with the Tesla, I can move it without getting into the car haha. Will probably give the CR spotless a try and will post back after...if I do get it. Meguiar's is great stuff and owned by 3M, FYI. The 3M polishes and compounds are more expensive than the Meguiar's but faster because they have more mineral in them. Meguiar's compounds/polishes are for the consumer and the 3M stuff is what you will find the pros using in body shops. Haha, I'd also suggest investing in the smaller iK sprayer and some Optimum No Rinse. Try doing more waterless washes vs. full on normal washes. Will allow you to do very small sections at a time and wipe off the water immediately. I do this on my S2000 because I rarely drive it and it just gets dusty in my garage. I also want to test it out on my daily, people use this method even on vehicles that get dirtier with great results. Yessir, I have used some of the body shop grade stuff from 3M and while it's excellent the added cost isn't worth it for someone that isn't detailing for a business. You'd be surprised at how much of the "Professional" grade stuff Meguiars is pumping out that isn't off the shelf stuff, lots of there new abrasive polishes are heavily professional grade. Even there Japanese made clay bar is amazing, right up there with 3M's that cost double. Again most of the budget conscious stuff out there mixed with the right pad/machine will do just fine for the hobbyist. I started with a Porter Cable 7424, then jumped up to a Flex XP and that alone cut my time almost in half. Not surprised at all actually, and I can give you some background. I just retired last June after spending the last two decades of my sales career in the 3M Automotive Aftermarket Division which obviously included Meguiars. I've done head to head testing of all the Meguiar's, 3M, and competitive products and spent a week or more each year in formal training sessions at 3M Center in St. Paul, MN which included all the product development and marketers being present to update us on exactly how the products had been updated. The material in claybar, BTW comes from basically one supplier (until their patent and/or mining rights run out)in the world which makes them all nearly the same. A few of the nonabrasive wax/quick detailer products are identical in the Meguiars and 3M lines, just with different names/scent/packaging. None of the dedicated(non-cleaner wax)Meguiars polishes or compounds work as quickly as the corresponding 3M products but that is by design so a do-it-yourself can't get himself in trouble as quickly. Burning through the clearcoat is not received well for a DIY'er or for the professional at a body shop since it requires a trip back to the paint booth for more clearcoat. 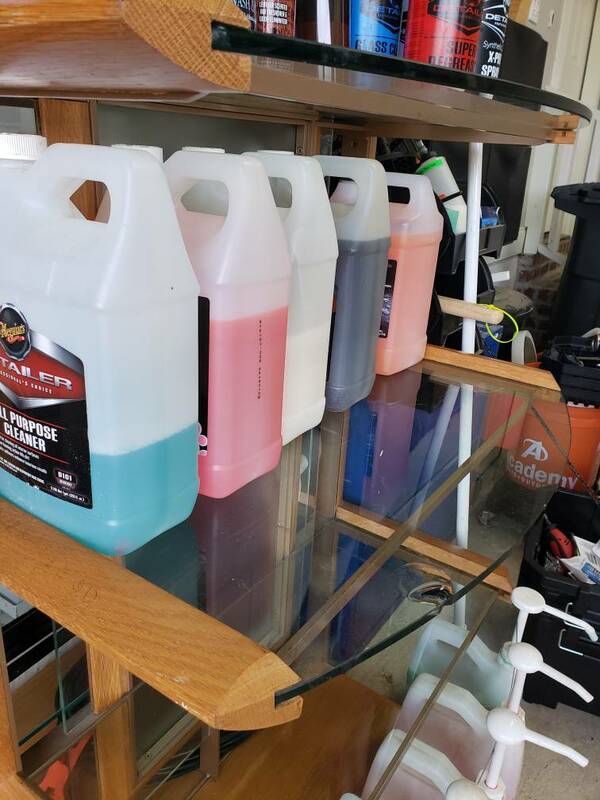 Meguiars compounds and polishes are slower but still get the job done and are equal or superior to any other brand, even ones that are charging more. 3M as a company spends more in R&D each year than the gross profits of any company in the world making polishes/waxes. The really fun products that work super fast for paint correction are the Trizact 3000 and 5000 grit sanding discs but most people don't have the training or guts to take 6" DA sander to the hood of their new car and instantly watch their clearcoat turn hazy. 10 years ago I had a surgeon that wanted to see the process almost have a coronary when he saw me doing that first step on the door of his black 750il BMW, lol. Part of my job was training professional automotive techs at body shops and the trainers at large regional Automotive Paint Training centers how to repair the vehicle from grinding discs before Bondo application all the way to the last step which is the paint finishing/correction after it leaves the paint booth. 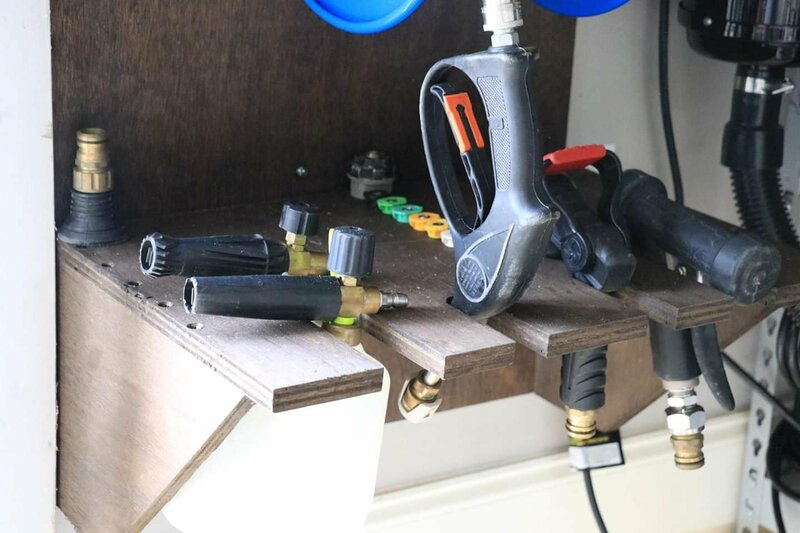 I've worn out several Dewalt, Makita, and 3M rotary buffers doing demos in the last 20 years and currently own 4 rotary and 3 orbital buffers. 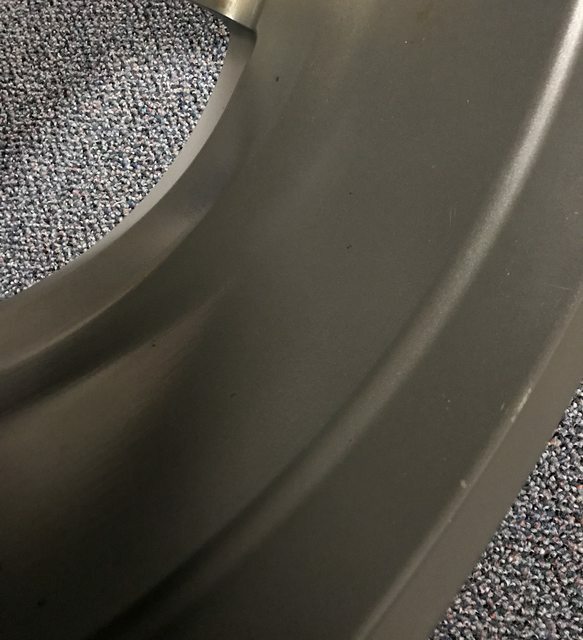 I've pretty much seen it all when it comes to any product used in the collision repair market(our division had 4,000 products for the body shop and many part number are permanently etched in my brain), including how different brands of factory and aftermarket clearcoats respond to different products and techniques when new or fully cured. I may have opened up a can of worms with this revelation. Don't count on fast responses to all questions, lol! Most of the dozens of instructional videos can be found on the 3M Automotive Aftermarket/collision repair Youtube channel. Here's one on complete paint finishing for those who are interested. And one from Meguairs that is more for the DIY'er. Last edited by tahoebum; 02-13-2019 at 04:16 PM. Def. cool to hear from someone that was in the automotive paint field as long as you were. I just can't believe how many more detailing product companies there are in just a short period of time. When I started in the early 2000's it was a relatively new concept of DIY paint correction and paint protection in general. Now IMO there almost is too much out there and a person just starting out always gravitates to maybe what is the most expensive or what they saw on FB or YouTube, when that might not always be the best. I mean as much as I love watching influencers like "Obsessed Garage", the tools and products he sells are very expensive. IMO for 90% of people out there they don't need a $1000+ pressure washer or even a $100 foam cannon. Many of the serious car guys don’t let water ever touch their nice cars and a power washer is absolutely out of the question. I’ve seen cars from my customers shops right before they departed for Concours Pebble Beach and they would seriously frown on any pressure washer or foam cannon. I have a $800 pressure washer and don’t use it on my cars unless I’m cleaning wheel wells/undercarriage or other unpainted surfaces. 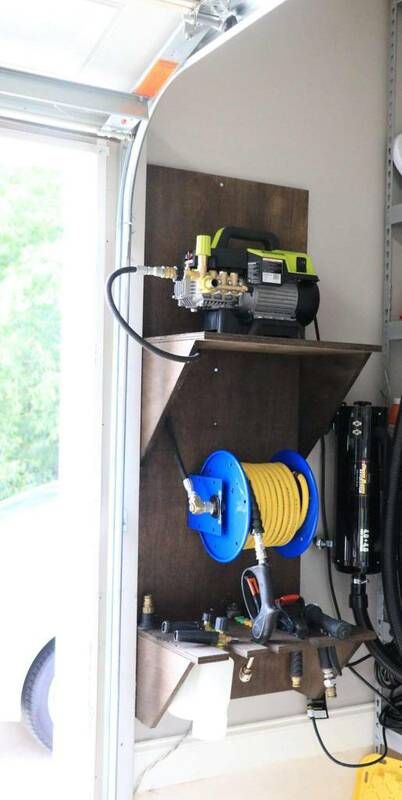 A regular hose, a couple 5 gallon buckets, the proper wash mitts, and car wash soap is all you need. Keep your mitt and water clean and use enough soap which is the lubricant that prevents the mitt from scratching the paint. Never use a wool or wool blend mitt on anything except wheels or unpainted surfaces. You should also have a good solvent tar/adhesive remover such as 3M 08987 or Meguiars Bug and Tar remover. I have 82,000 on my daily driver and the paint is still scratch free because it’s alway been washed carefully. One trip through the wrong car wash would trash the paint more than the 4 years of driving and washing I’ve done to it. Last edited by tahoebum; 02-13-2019 at 11:33 PM. 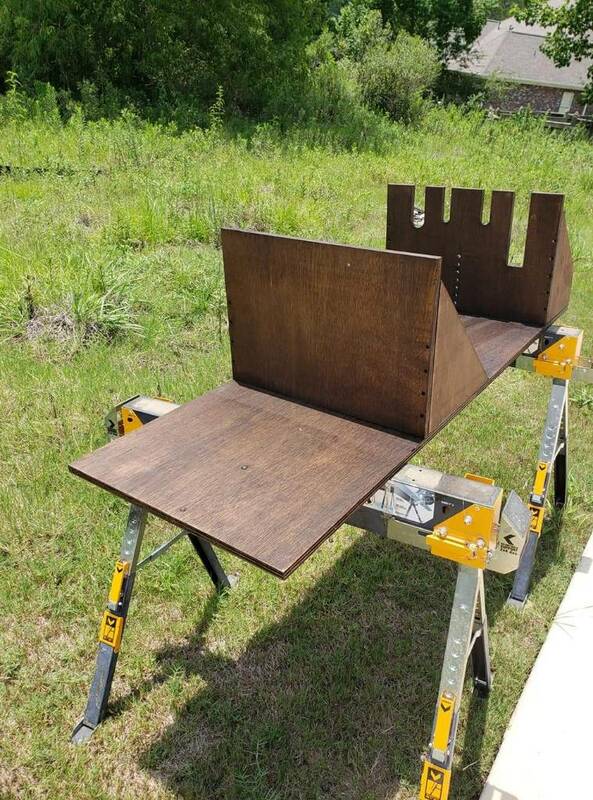 100% agree, people forget that a lot of high psi pressure washers can be harmful to paint. I have about 4-5 different degree sprayer tips to lessen the pressure. I have used Tar-X from CarPro that works really well along with Iron-X to take off iron deposits. 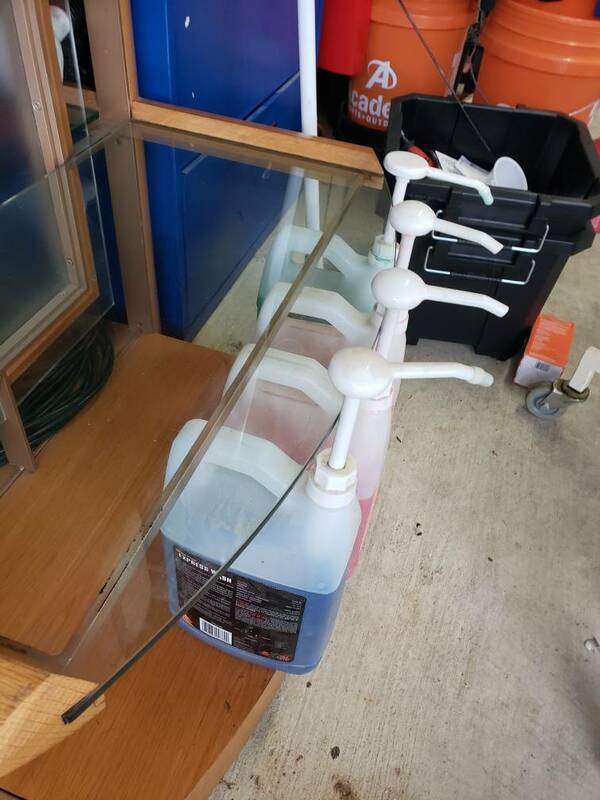 I always laugh when I see people with the unlimited wash bar code stickers on there window for Delta Sonic Even in the winter here in Upstate NY I use the DIY bays with warm water sprayers and my own buckets/soap/mit. One trip through the wrong car wash would trash the paint more than the 4 years of driving and washing I’ve done to it. I would say ANY car wash lol. Only person who can wash my car is me hah. I took my BMW to the dealer once for service...told them I didnt want my car washed and they forgot to put the sign on the dash. I was pissed when it came back with all these swirls....and I had just done a paint correction the week before. After that I kept a do not wash sign in the glove box lol. My next house will have a garage with a dedicated wash bay on one side and simulator on the other! Yupp, I bought a rearview mirror sign from DetailedImage (click here) and also notify the service person I am checking in with. Which is the one nice thing about having a luxury make, they make sure things are done exactly as requested. I honestly just want a 3 car garage with a drain and a hot water line inside, that way I can wash it anytime of year or anytime of day! Added a great 100 ft hose later.